Here you can download some Microsoft Visio stencils for DellEMC Unity and DataDomain. This morning one of my users started having problems opening Word Documents on the Network. 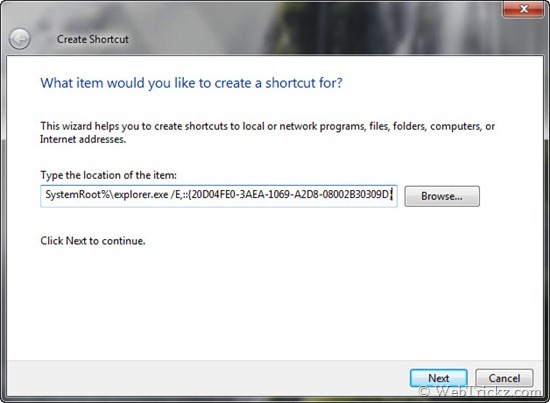 When he double clicks on a document on the network he gets the following popup From User Access Control. Do you want to allow the following program to make changes to this computer. If you say no Word exits if you say yes it opens but then you get a message that the directory is not valid. Once Word is open you can use file open to browse to the same folder and open the file with no problem. The same UAC message pops-up if you open Word from the Start-Menu. Uncheck the box “Run this program as an administrator” and also ensure that the box to “Run this program in compatibility mode” is unchecked verify the status. Try opening Word and check if the UAC prompt doesn’t come up again. How to pin My Computer to Windows 7 taskbar? Do you hate it also that you can’t open My Computer directly from the Windows 7 Taskbar. If we drag N drop My computer to taskbar, it gets pinned to windows explorer rather than creating a new place for itself. Windows explorer opens libraries which irritates me and quite a lot of users. So, I’ve found a simple trick to pin My Computer to Windows 7 taskbar. Below procedure also works with Windows 8 Developer Preview. 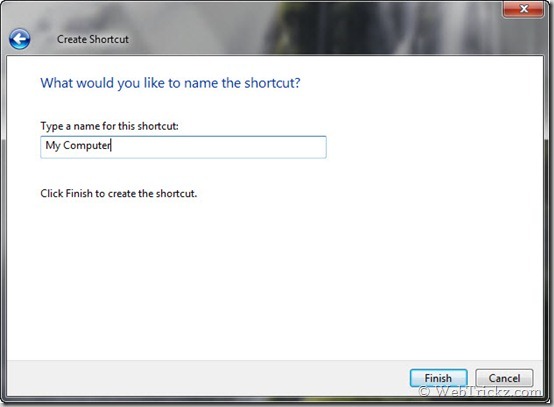 1) Right click on Desktop, and select New > Shortcut. 4) Now you’ll see a new shortcut of ‘My Computer’ placed on desktop. It has the same icon like that of Windows explorer. You can change its icon if you wish. 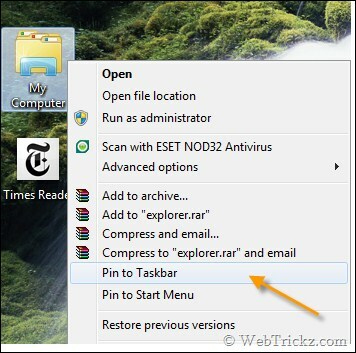 5) To pin the shortcut to Windows 7 Taskbar, just right click on it and select “Pin to Taskbar”. 6) Enjoy! Your direct shortcut to My computer is pinned on taskbar now.